Are you looking for a car that allows you to enjoy the commute on a daily basis? What’s important to you when it comes to your daily drive? Do you want a car that can be the right gift for your teen this year? Visit our dealership at Joseph Airport Toyota near Dayton, OH and take a look at the used Toyota Corolla models we have to offer you today. The Toyota Corolla has been part of the market for a few decades and it’s always had the same qualities to give you a great drive. This is a car that’s part of the compact market with a large number of features and incredible fuel mileage that can give you the drive you’re looking for on the road. When you see our team today, you’re going to be glad to take a test drive on the roads in the area with our sales staff. We’re going to help you have the right version of this car for the drive you’ll make on a daily basis in Dayton, OH. Come in and see what we’ve got to offer you today. How Will Your Commute Improve? When you choose the right used Toyota Corolla model for your commute to and from Dayton, OH on a daily basis, you’ll have more of what you desire. Our team can show you how this car can be comfortable, introduce you to all the impressive electronic features that will be perfect for your drive, and help you see how this car saves you money with the fuel mileage that’s perfect for you. Let’s take a test drive in the Corolla that you choose so that you can see if this is the car that’s right for you. If you’re giving your teen a gift of a car this holiday season, you’re going to want to make sure it’s a car that can serve them well and perform right for them every day. Not only is the Toyota Corolla a car that comes from the most reliable brand in the automotive industry, if you choose one of our certified pre-owned models you’re going to have the benefits of the Yes Plan which is a lifetime powertrain warranty for you to have the drive you’re looking for. The right used Toyota Corolla that you can enjoy driving is waiting for you at our dealership of Joseph Airport Toyota today. Stop by and let our team help you have the quality features you’re looking for, the deal you want, the fuel mileage you’re after, and the impressive drive that the Corolla can offer you today. We have what you’re after to offer you the commuter car you need or the great gift that you’ll be able to offer to your new driver; stop by and see what we’ve got for you. With a choice as easy as a used Toyota Corolla, every other decision can seem difficult. 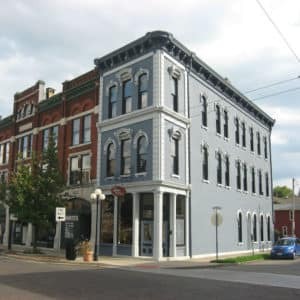 May we suggest loading up your friends and heading down to the Oregon Historic District? Take in the fine dining offered by multiple restaurants or go shopping with many stores to choose from. 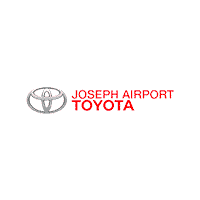 Wherever your drive may take you around the Dayton, OH area, we have your back with our YES Plan offered on almost every used car we sell at Joseph Airport Toyota.